Morah Jen: Introducing our STEAM Lab! Back in late summer, I wrote that thanks to the incredible generosity of our families and community members, this year "each classroom will get new toys . . . many of which will be math and science oriented. 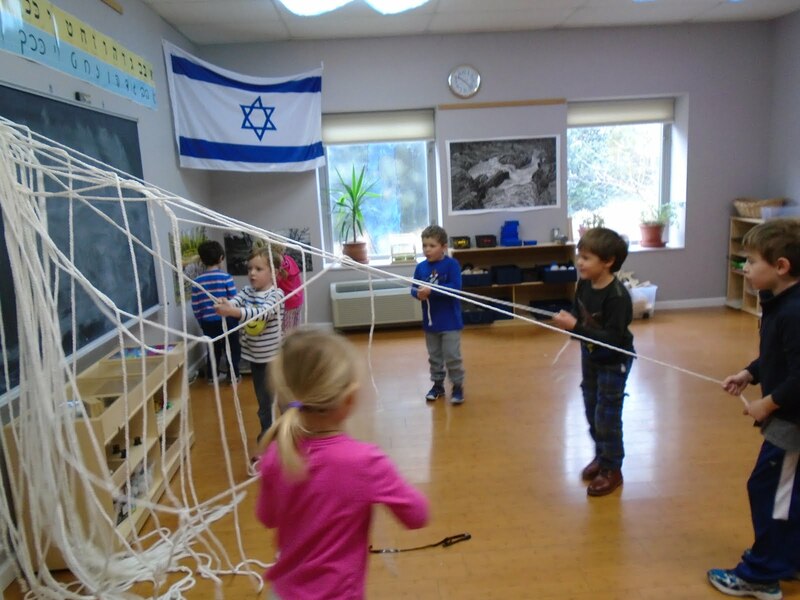 Last year we’d noted that we needed more of those kinds of toys in the classrooms. To that end, we’re going to take advantage of an unused classroom this year and equip it with a variety of math, science, engineering, and art supplies. 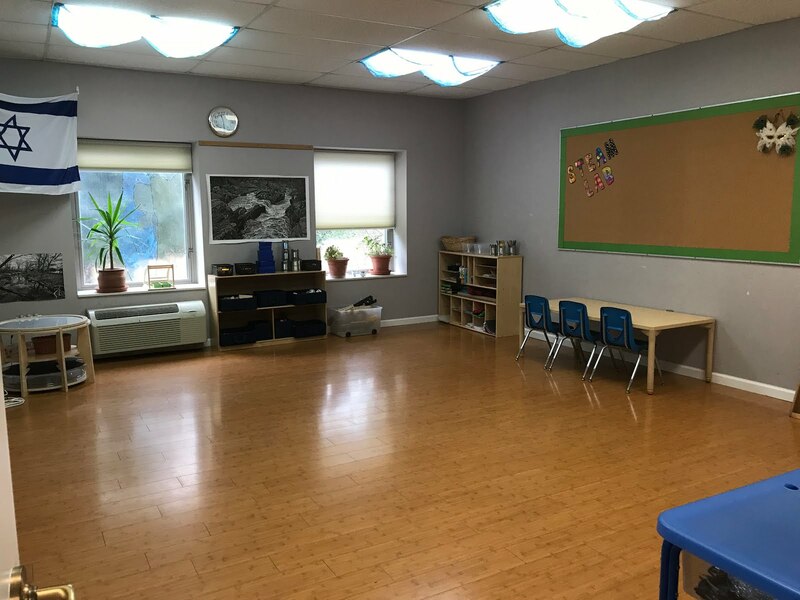 This multi-purpose room will start out small, but hopefully grow to be something that truly sets Agudas Achim Preschool apart from every other preschool in Alexandria." I am happy to announce that our science, technology, engineering, art, and math room -- or STEAM Lab -- is officially open! Our consultant, my friend and Agudas Achim congregant Sherri Kohr, and I spent the fall brainstorming, planning, purchasing, unpacking, and organizing. This week, Kitot Katom, Kachol, and Turkiz and the Sha'at Mischak Giraffes spent time exploring the Lab; next week the other classes will have their turn. See below for pictures, and stay tuned for many more updates about our STEAM Lab as it continues to grow and evolve. The STEAM Lab has a lot of open space for building large structures that wouldn't fit in the classrooms. I found macrame at Upcycle in Alexandria. Right now we're exploring it. Who knows what it will become? Loose Parts! 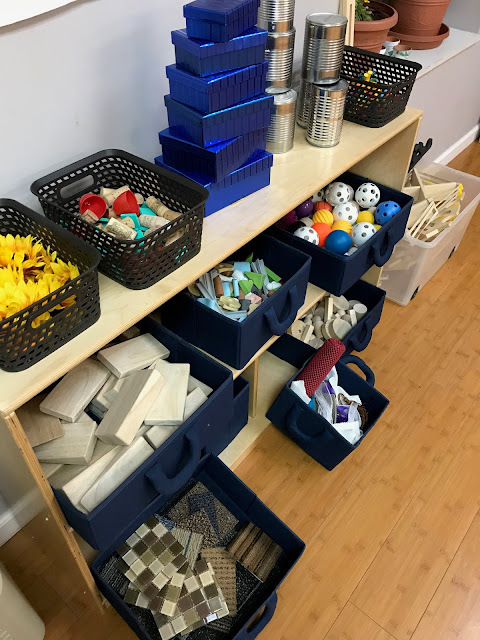 The building station is currently outfitted with a variety of materials that have no predetermined purpose or outcome, which encourages the children to be more creative and innovative. 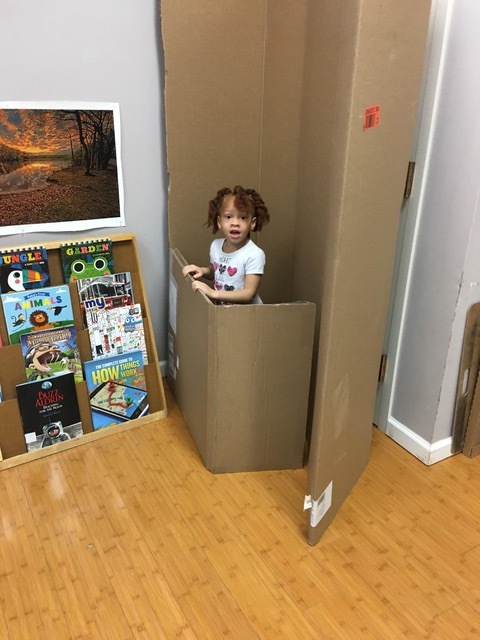 Of course, we saved all the boxes. The sensory table -- full of unraveled VHS tape, tinsel, metal containers, and magnets -- became a full body experience for one friend. Our creation station is equipped with lots of materials of different thicknesses and textures for cutting. The Light Laboratory allows for endless experimentation and exploration. 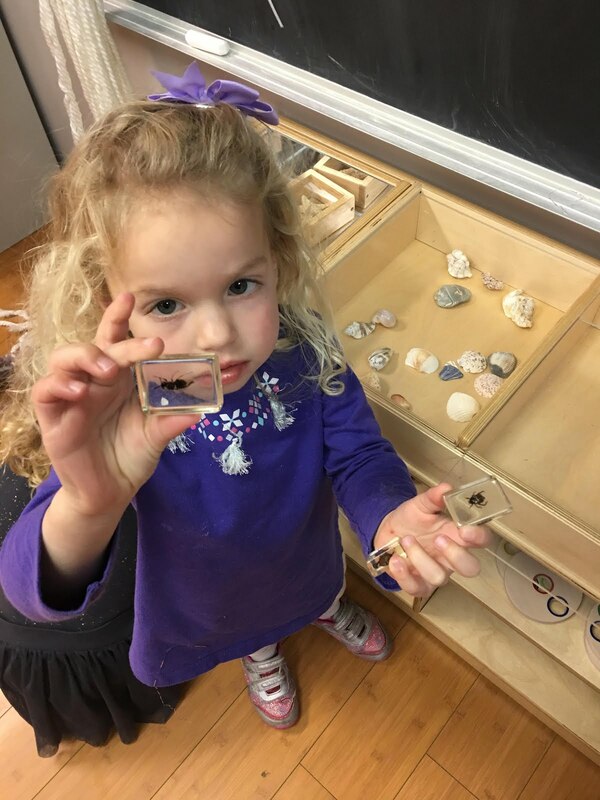 We have a starfish, a bird's nest, shells, insects, and more at our exploration station.